Home > Vehicle Manuals > Land Rover > 90/110/Defender. Land rover 90. Supplementary parts catalogue. 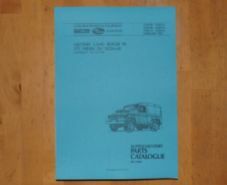 Land Rover.90/110/127/All variants.Illustrated parts catalogue.